Want to feel safer in the street? Want to feel confident in any situation? 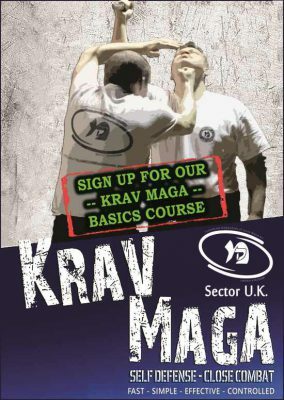 The Basics Course is your entry point for learning Krav Maga. In just under 3 hours you will be taught the principles of Krav Maga, how to apply them in a self-defence situation and also aspects of UK Law as they apply to self-defence. The course is designed to be both fun and informative; it is certainly not a 3 hour cardio workout so is open to everyone, however you may break a sweat once in a while! Wear tracksuit bottoms, t-shirt and trainers, bring some water and maybe a snack. You will receive a confirmation email with course details…if you have any questions call us on 020 3286 6311 or email us here now!